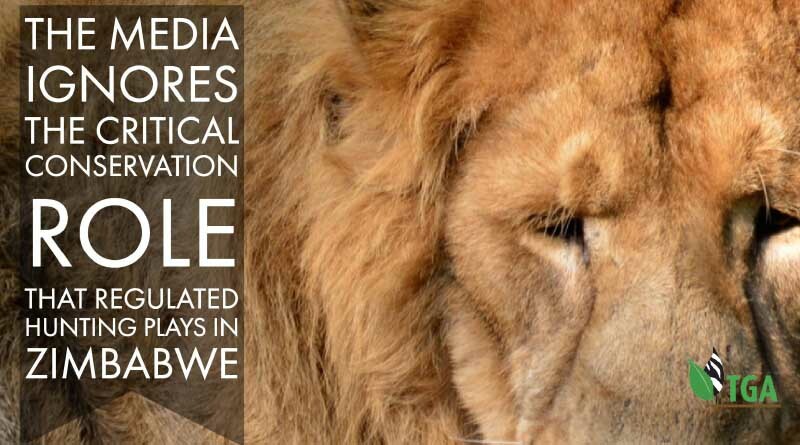 Media outlets are reporting that “Xanda,” a six-year-old African lion and the alleged “son” of “Cecil,” was recently killed in a lawful tourist hunt in northwestern Zimbabwe. The reports are inconsistent and biased. 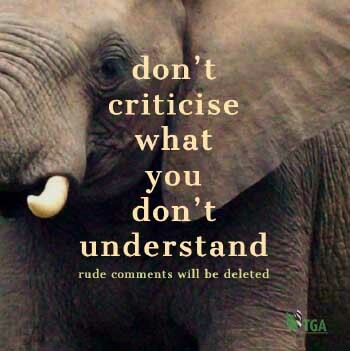 Most of all, they ignore the critical conservation role that regulated hunting plays in Zimbabwe. The facts below emphasize the importance of lion hunting as a conservation tool in Zimbabwe and other lion range states. Habitat Security: Regulated hunting in Zimbabwe takes place in government safari areas and forest areas, communal areas in the CAMPFIRE program, and private conservancies. Hunting justifies the protection of nearly 5 times as much habitat as in Zimbabwe’s National Parks (>130,000 km2 compared to <28,000 km2). Zimbabwe is not alone. Hunting areas are more than five times the size of Tanzania’s National Parks, more than 2.8 times the size of Zambia’s National Parks, more than 2.5 times the size of South Africa’s National and Provincial Parks, and more than 1.5 times the size of Mozambique’s National Parks. Hunting mitigates the habitat loss identified as the single greatest threat to large carnivores like lion and leopard. That habitat provides the lion’s share of prey as well. Wildlife Authority Revenue: Regulated hunting contributes significant operating revenues to the wildlife authorities of range nations like Zimbabwe. These revenues pay for for law enforcement, monitoring, and other conservation activities. Hunting fees in Zimbabwe cover most of the authority’s operating expense. Under the current quota, lion fees alone can underwrite the protection of over 18,000 km2, two-thirds of the National Parks. In other African countries, hunting fees make up between 30% and 80% of the wildlife authority’s operating budget. Anti-Poaching: Many hunting operators maintain their own anti-poaching teams to support government enforcement efforts. This spreads the costs of law enforcement between the public and private sectors, and reduces the burden on underresourced governments. According to a study of 18 hunting operators in Zimbabwe, 26% of company staff were engaged in law enforcement. Similarly, a study of 27 operators in Tanzania found they expended over $6.7 million in anti-poaching from 2013 to 2015 and conducted a total of 7,170 patrol days in that period. side-by-side with dangerous game like lion by generating tangible benefits, which improve community livelihoods. The CAMPFIRE program in Zimbabwe devolves control of wildlife on communal lands to rural district councils. These councils contract with safari operators and benefit from the fees paid for lion, elephant, and other hunts. At least 55% of these fees are deposited directly in village bank accounts. Another 41% goes to the district councils for community services. Conclusion: Regulated hunting is essential to Zimbabwe’s wildlife management and conservation system. This system is working. A 2016 IUCN Red List assessment of African lion concluded that Zimbabwe is one of four range states with an increasing lion population. This is an amazing achievement given Zimbabwe’s rapidly growing human population and high human population density (26). Hunting takes place across a wide range of land, and in marginalized areas that are simply not appropriate for photographic tourism. If that land is to remain as habitat, there must an incentive for the rural people who would otherwise use it for farming and livestock. Hunting offtakes are low—only 33 lions hunted in 2016—but the incentives are high. This carefully designed sustainable use based system is about the best there is. Agreed but we need to show more proof- figures of amounts that are paid to communities, statements of agreement from chiefs, comments from the average tribesman in the CAMPFIRE areas- most claim they see no money directly or indirectly ( chiefs must be held liable to prove wise usage. ). Most Tanzanian hunting concession staff I worked with were not from the area so direct benefit to the local community was not strictly true. How can we justify this? Local police and anti – poaching squads were often involved in the profits of poaching and our efforts were often in vain as kingpins just disappeared after arrest by simply paying their way out. Tourist hunting is an excellent aid to habitat conservation but it’s not going to work- let’s face it. Depopulation of humankind in these areas is the only solution. How do we achieve this ? You are 100 percent correct in most of your observation. “Things” are not what they SHOULD be. But many people in South Africa are working towards this end. The TGA has a very polished document on the subject called The “African Wildlife Initiative Programme ” (AWIP) the purpose of which is to integrate the “needs” of rural people living around our national parks with the “needs” of the national park and its wild animals. AWIP, however, goes one giant step further than the Zimbabwe CAMPFIRE programme. The Wildlife Ranchers are working with government to enable the creation of black game ranch owners; the new Greater Kruger National Park development initiative is another programme with which the TGA is operating. I am currently, for example, right in the middle of writing a new report on my thoughts on this very subject – and I am in touch with community leaders. My thoughts on this subject will shortly be published on THIS, our own Facebook page. AWIP is, in fact, one of the TGA’s BIGGEST projects. There is no chance at all that depopulation is going to work. The current human population of Africa south of the Sahara Desert is about 750 million. By the end of this century it will exceed 4 billion. And THAT is the population figure we are working with – planning ahead. It CAN be done – but we are going to have to have the support of every thinking South African to succeed with this project. THAT is a main reason why we need your support. There ARE figures – regarding how much money flows into communities – from places like Zambia, Zimbabwe and Namibia but nothing of any real consequence from South Africa YET – but it WILL come.